IHH makes relief activities against poverty, wars and disasters in 5 continents and 135 countries without distinguishing people in need due to their races, religions and languages. No matter where they are we are delivering aid to the suffering people affected by wars, natural disasters and other catastrophes. In addition to our activities aimed at presenting human rights violations we are engaged with crisis prevention efforts as well. In cases where diplomacy fails and people suffer as a result, we act as negotiators to find a solution to the conflicts. Regardless of faith, race and religion we are trying to reach out to all the people suffering wars and catastrophes and in need of emergency help around the globe. We act on natural disasters to provide immediate needs of those affected with our constantly on call search and rescue teams. We are able to carry out relief activities around the world thanks to the blessing of God and constant prayers and support of thousands of our friends of soul. We reach out to our thousands of volunteers with awareness campaigns to spread justice around the world and organize conferences and meetings together. Cataract which is a curable disease causes thousands of people go blind due to lack of resources and opportunities for medical treatment. IHH has facilitated the cataract surgeries for 85.944 patients to regain eyesight. Syrian war, which caused 300.000 deaths and 12 million people fleed their homes, seems to have no end. The country is in rubbles as the war enters its 6th year. The number of orphan children supported through IHH’s Orphan Sponsorship Program reached 85.000 across 56 countries. Many people in various countries can not reach the clean water they need. In a World in which billions of people unable to reach improved water resources diseases are getting more widespread. Gaza under longtime embargo and blockade is the largest open-air prison in the world. IHH reached out to 1,5 million Palestinians in 2015. Legal struggle for justice for Mavi Marmara continues in 6th year of occupier Israel’s attack on Gaza Freedom Flotilla. To the attention of those who would like to donate from abroad! 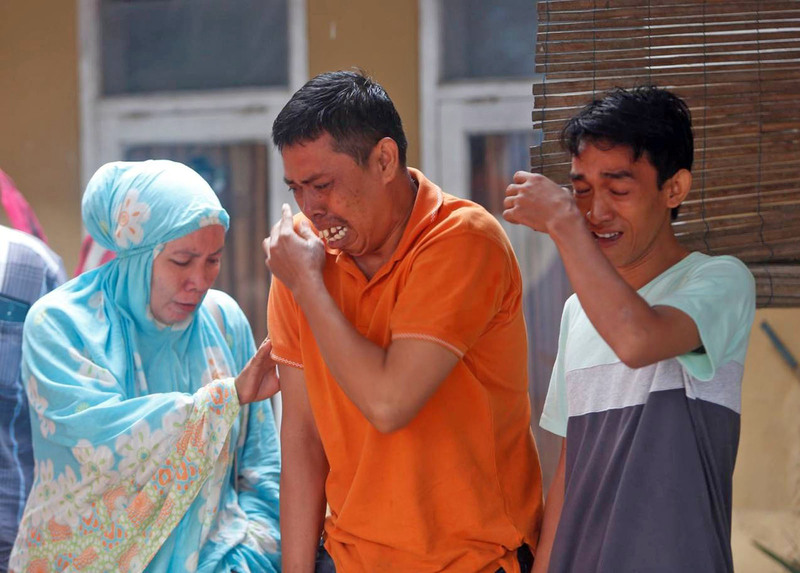 429 people lost their lives as a result of the tsunami that occurred following the volcanic eruption in Indonesia. IHH launched an emergency aid operation to the region, initially delivering humanitarian aid materials to 7 thousand 500 people. 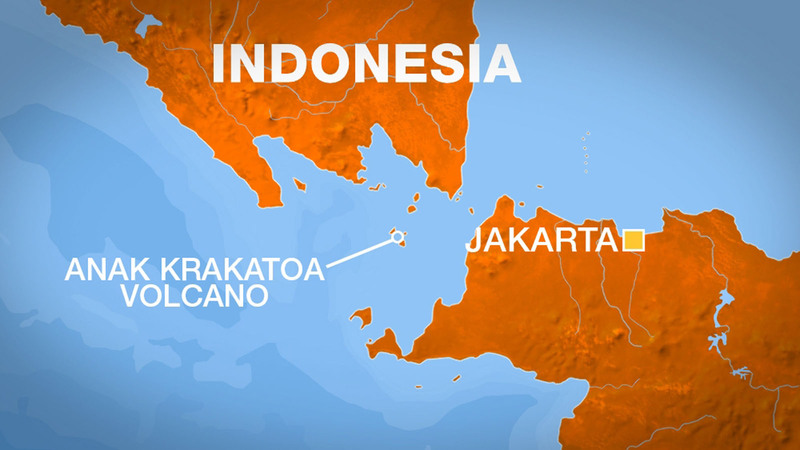 The eruption of the Anak Krakatau Volcano in the Sunda Strait triggered an undersea landslide. This caused a tsunami in the Sunda Strait that runs between the provinces of Lampung and Banten close to the capital Jakarta. While the volcanic eruption began at 18:00, the tsunami struck at 21:30. The cities of Pandeglang, Lampung, Selatan and Serang were affected by the tsunami. While the death toll from the tsunami has reached 429, 1 thousand 459 people were injured in the disaster. 128 people are still unaccounted for, and 600 homes were declared damaged in the tsunami. On the other hand, authorities raised the danger alert of another tsunami due to the eruption of the Anak Krakatau. IHH Humanitarian Relief Foundation took emergency action and launched humanitarian aid operations in the region. 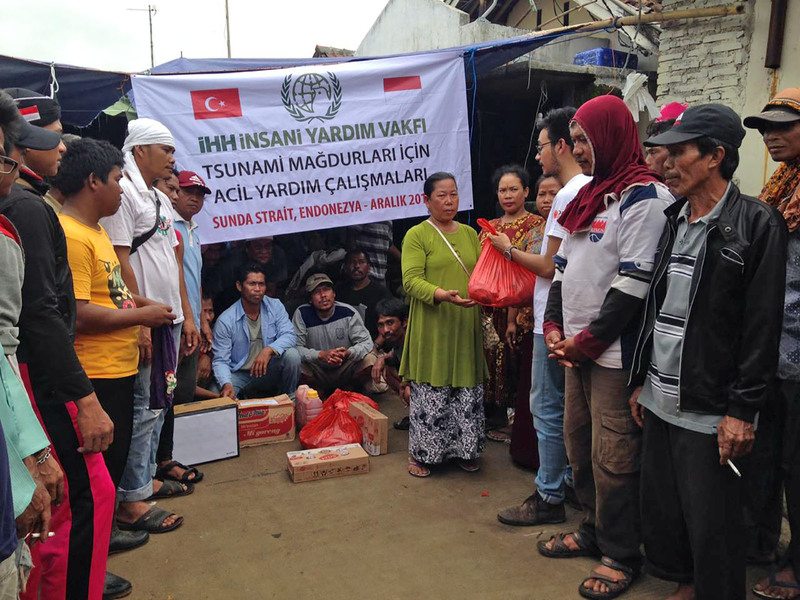 Initially, IHH distributed emergency aid to 7 thousand 500 disaster victims. In addition to shelter equipment, food and hygiene packets were also distributed to the people. In the wake of the earthquake and tsunami that occurred two months ago, with the support of our donors IHH departed for the region on the night of the disaster and distributed emergency aid to 51 thousand 500 victims. There is an urgent need for shelter equipment, food and hygiene packets in the region. Donors that want to help the Indonesian disaster victims via IHH can text ACIL via SMS to 3071. In addition, donations can also be made via IHH’s website or bank accounts stating the code ACIL. IHH supplied drinking water to thousands of families with the support of our donors by distributing a thousand tanks of water to the people in Yemen where the humanitarian crisis is continuing. We are about to freeze to death, help us! In the Arsal region in northeastern Lebanon, the camps where Syrian refugees were sheltered were completely covered by snow. Calls for help are rising from the area where the deaths by exposure can occur. Thanks to the supports of benefactors, IHH transmitted immediate aid to 345.000 needy people in Yemen, where 21 million people suffer from food shortage and 10 million people need immediate aid. IHH has initiated its Ramadan 2019 activities with the “Ramadan is good when we are together” motto. IHH aims to deliver donations to three-million people in 120 different countries and regions during Ramadan. IHH Humanitarian Relief Foundation will be organizing this year’s Orphan Solidarity Days in September, October and November. This project, that will benefit almost 130 thousand orphans and their families, needs the support and donations of donors. As a part of our development projects, IHH Humanitarian Relief Foundation has provided 27 Yemeni families with work opportunities enabling these aggrieved people to gain independence. IHH Humanitarian Relief Organization has conveyed humanitarian aid to 150,000 civilians in Afrin since the Operation Olive Branch cleared terror groups from the city. Almost a thousand homes were destroyed due to flooding. Our foundation is granted tax exemption by the Council of Ministers decision dated 04.04.2011 and numbered 2011/1799.